Welcome to our website. 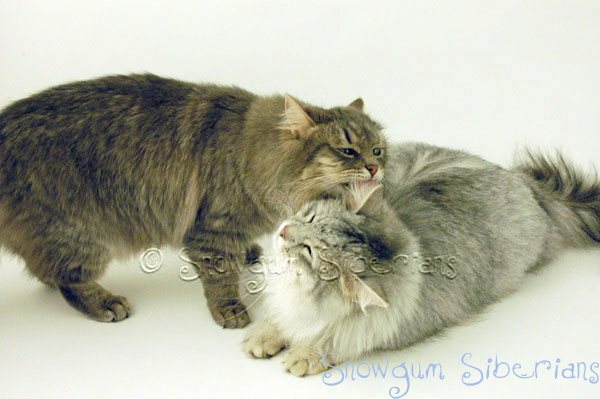 My name is Melanie Fletcher, and together with my very patient and loving husband and gorgeous son and daughter, we are the breeders of the beautiful Snowgum Siberian cats and kittens. I was born an animal lover. 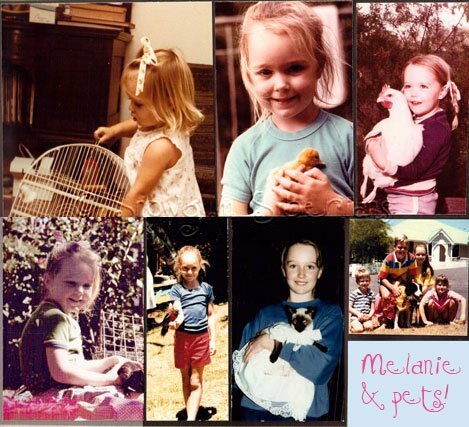 As a child, I lived with my large family amongst a menagerie of animals in our suburban home in Brisbane. Ducks, chickens, dogs, guinea pigs, budgerigars and Mexican walking fish were just some of the pets that shared our home. My first cat was however my first true love; A beautiful seal point Siamese named Tiffany. We later had a silver spotted Oriental named Max and a very handsome Abyssinian named Jalia. After graduating from university and moving away from home, I found that whenever I returned I would sneeze and itch around Jalia. So years later when my husband and I decided to adopt our first cat together in London we looked for a breed suitable for allergy sufferers. We looked at the various breeds and found that Siberian were said to be more tolerable to allergy sufferers than other breeds of domestic cat. When we saw the pictures of these gorgeous cats we were instantly sold and knew this was the breed for us! We didn't plan to breed Siberians when we adopted our first Siberian kitten, Georgia. But when we brought home our little fluffball, we found that as per the Siberian breed description, she was an extremely playful, intelligent, loyal and loving kitten. Best of all, despite our mild cat allergies, she didn't make us sneeze once! Needless to say we fell totally in love with her and the Siberian breed. It was after talking to her breeder Maria Bunina, that we then decided to share this wonderful breed with our family and friends back home in Australia by breeding Georgia. Not long after Georgia's arrival, we decided to adopt her a playmate and Frostie joined the family. So within six months we went from having an empty house, to a home filled with the antics of two gorgeous, energetic Siberian kittens! We have not looked back! You may be wondering where we got our name. Well, we lived in London when we first started breeding but our plan was always to return home to Australia. So a move from snowy London to the gum trees of Australia provided us with the perfect name for our breeding prefix: Snowgum Siberians. Snowgum is also the name of a very beautiful type of eucalypt tree, found in the colder parts of Australia. 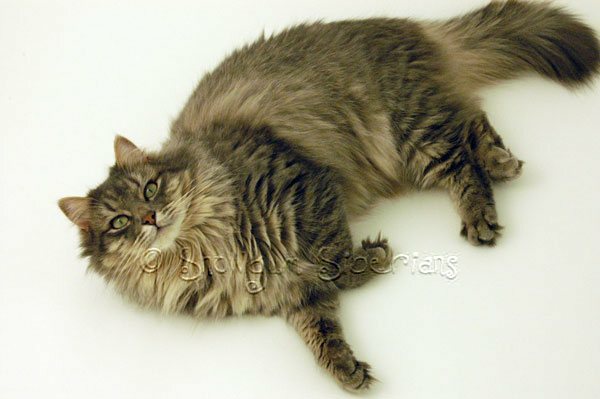 Like the Siberian cat breed, it is long-lived and slow growing. They can withstand snow and ice, and prosper in colder areas, but are able to adapt to diverse situations just like our gorgeous cats! At Snowgum we have a limited number of litters each year in our family home in Sydney's Upper North Shore. We limit the number of litters so that we can provide each and every kitten with the love and attention they need to grow into the perfect pet for you. 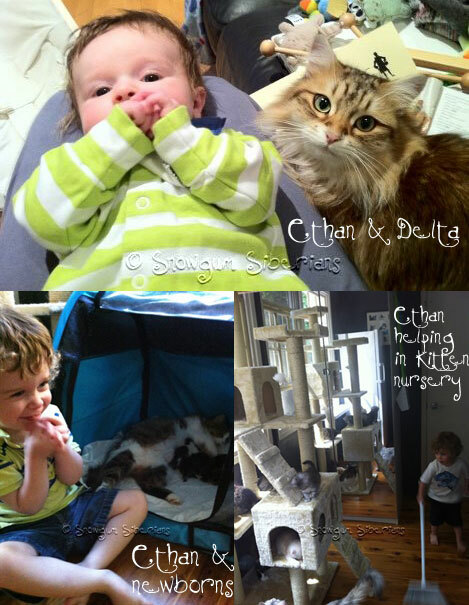 Our children are involved in raising the kittens and interact with the kittens from the day they are born. 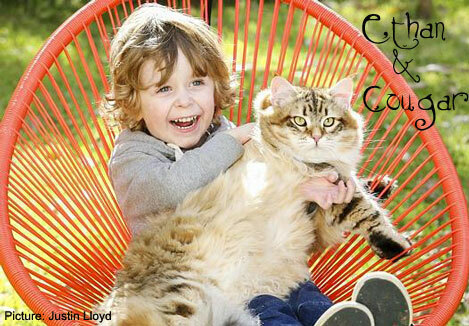 You can see videos of our cats and kittens in our home with our children on our YouTube Channel. We have showed our cats extensively in the UK and have even attended (and won!) shows in Russia where the Siberian breed originates from. We know the Siberian standard intricately due to all of our show experience and even understand the subtle differences in the standard between the various organisations. We feel that our show success is incredibly important for ensuring that our breeding program contributes in a positive way to the further development of the breed. Our breeding cats have all been selected for not only their incredible good looks, but for their health and diversity of bloodlines, their conformance with the breed standard and their great temperaments. There is no point having a perfect looking cat if it is not also healthy, happy and friendly so we focus on all areas to ensure the kittens we breed are the total package. Our breeding cats have been imported from Russia, Poland, Italy, the UK and the USA. 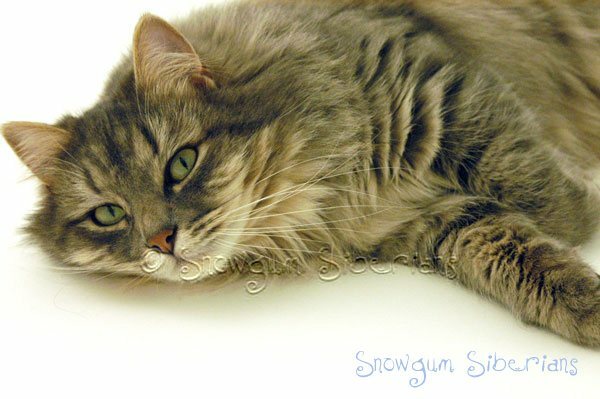 Most of our cats have in fact come from Russia, the homeland of the Siberian breed. 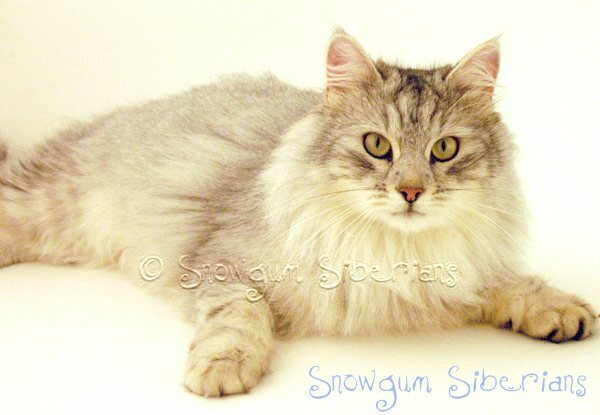 We have many famous Siberian cats in our pedigrees who have achieved the top titles in their show organisations. 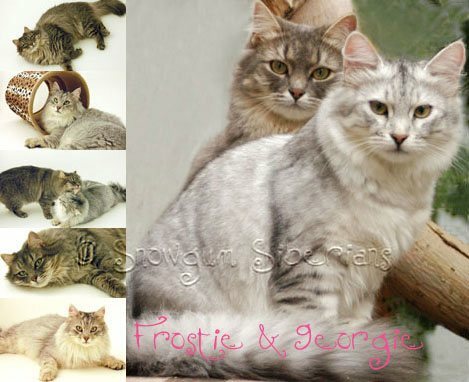 We also have some newer bloodlines brought from Russia to increase the diversity in our kittens' pedigrees. New bloodlines are increasingly rare in the breed and so this is an important part of our breeding program so that we can ensure the continued health and diversity of the Siberian breed in the future. We are well read on all topics relating to cat health, nutrition and behaviour and are happy to provide our kitten owners with any advice and assistance they may need over the lifetime of their pet. We test all of our breeding cats for a variety of feline diseases and genetic problems and we keep abreast of all the news in cat health. Our cats are all kept healthy and in top condition. This is a priority for us. If our kittens do ever fall ill or become injured, they will remain with us until recuperated and our vet gives the all clear for them to go to their new homes. 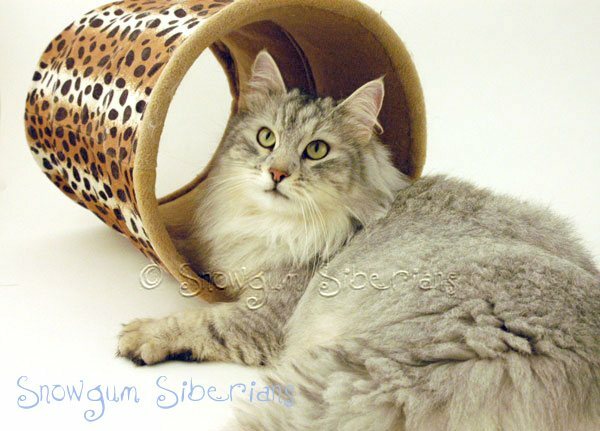 It is important to note that while we are incredibly passionate about the Siberian Cat and our breeding and show success, this is a hobby for us and does not make a profit. We do also have a family and a very busy schedule so we choose to do all initial contact with future kitten owners by email. This allows us to do all communications after our children are in bed and all our cats have been fed and groomed! Thank you for your understanding about this!